Canadian winters can be harsh and Montreal can definitely be quite cold in the winter. Summers are warm and average high temperatures hover in the mid 20s (Celsius) or about 80 degrees Fahrenheit, while winter temperatures average around -5 degrees Celsius (23 degrees Fahrenheit) during the day, but some winter days may dip below -20 degrees Celsius (-4 degrees Fahrenheit). Spring and fall are often mild but can be quite unpredictable, so if you are thinking about travel to Montreal what to do about the weather in Montreal? Montreal is a big festival city and has special events going on all year round. In addition to the famous Montreal Jazz Festival and the Just for Laughs Festival in the summer, Montreal has something special going on in the winter as well. For example, the Montreal Highlights Festival (in French” Festival en lumière”) has become one of Canada’s most popular festivals and includes a huge culinary celebration as well as arts and culture and a celebration of light. There is something going on in Montreal virtually every week of the year. Montreal has a huge network of interconnected underground pedestrian walkways that link up with the subway system, various malls, hotels, and office buildings. Even the universities, seven subway stations, the Bell Centre hockey arena and two commuter train stations are part of this network. It is said to be the largest underground complex in the world and you can easily spend hours underground without ever getting exposed to the elements. Shopping is a favourite activity for many of us, especially in the winter. Rue Ste-Catherine is Montreal’s most popular shopping street and tempts shopoholics with large department stores and retail chains. St-Laurent is one of Montreal’s most important shopping streets and other opportunities include Avenue Mont-Royal and Rue Saint-Denis. The Jean Talon Market is a wonderful year round market for local produce and fresh foods – a great authentic Montreal shopping experience. Museums are always a great alternate program when the weather doesn’t cooperate. Near the Montreal Olympic Stadium (a museum in itself), there is a complex of museums, including the Insectarium, the Botanic Garden (Jardin Botanique) and the Biodome. In Old Montreal there is the Pointe-á-Callière Museum which provides archeological insights into early Montreal. The Centre d’Histoire de Montreal provides a great overview of Montreal’s history. Hockey is the single most popular sport in Montreal, whether we are talking about active participation or spectator sports. Watch the Montreal Canadiens play at the Bell Centre, but make sure you get tickets as most of them are sold to season ticket holders. You will probably have to buy your tickets through inofficial channels. But there is really no reason to hide away from the cold weather in Montreal. Actually, it’s much better to embrace it and to become active and burn some calories that have accumulated as a result of Montreal’s delicious cuisine. There are lots of outdoor opportunities in Montreal in the winter. For example you can go cross-country skiing or snow-shoeing on Mont-Royal. One of my activities during my recent Montreal trip was a guided snow-shoeing tour with Les Amis de la Montagne and it was a fantastic experience. Our young guide was very knowledgeable and even brought along a Thermos bottle with hot mulled wine as a reward after our workout. There is free skating at Beaver Lake (Lac aux Castors) on the mountain or in Lafontaine Park. There is also awesome skating in the port of Old Montreal in front of the Bonsecours Market. I had a chance to go skating in the Bassin Bonsecours and the view of Old Montreal and the city’s skyline is absolutely phenomenal. I just spent five days in Montreal during the coldest time of the year, and with all the activities that we enjoyed and the places we saw I barely noticed the cold. So get out there and head to Montreal in the winter. You’ll have a great time…. 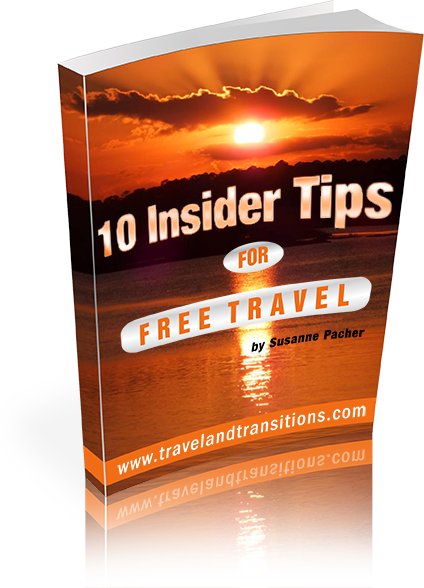 Please visit our website for more travel stories and travel tips. Check out my 2006 trip to Montreal. Feel free to contact us if you ever need professional French translation services.